When you choose Carol Kent Yacht Charters, you are selecting professional yacht charter specialists, recognized and awarded by clients and peers, with a record of 85% repeat business. We advocate for you, the client. Our role is to guide you through a successful yachting experience, using our intimate knowledge of yachts, crews, destinations, customs, maritime law and contracts, and constantly fluctuating international conditions. We partner with vetted service providers to smoothly handle your full travel needs including basics like airfare and hotel, as well as any and all special arrangements you may desire to ensure a thoroughly satisfying experience. Read our FAQ below for answers to some common questions, or just contact us directly. 1. How many guests can a yacht take? Honeymooners, families, couples, and even large groups can be accommodated. Especially large groups may also consider a Tandem or Flotilla charter involving two or more vessels. We arrange it all. The main three pricing factors are: the number of people traveling with you; the type and size of yacht; and seasonal demand. An early start to your planning helps mitigate it all. Here are a couple of client examples that illustrate the range of possibilities. Example C): “Captain Only Charters“ is just that! You cook and clean, your Captain navigates. It allows you to relax and enjoy, and even participate in sailing. 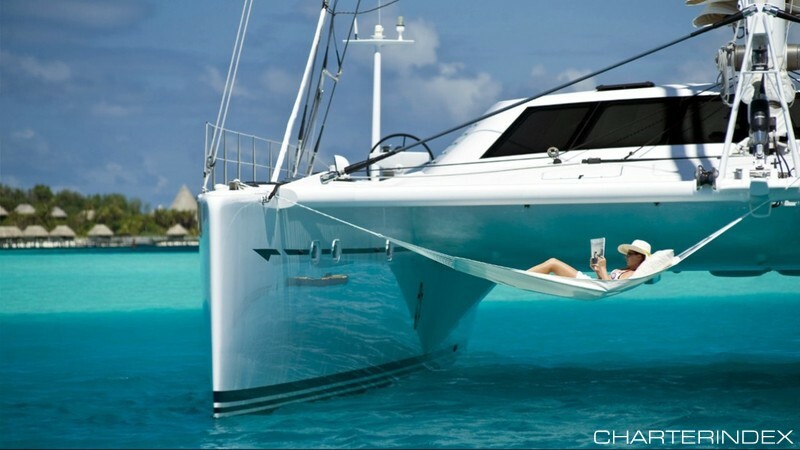 Since most Captain Only charters are either “sailing” monohul or catamarans in the Caribbean. In the Mediterranean, it is more common to arrange a motor yacht, hiring the Captain and Cook separately on the under yachts under 65′ feet. Click link for more information. Example D): “Skipper your Own” is called Bareboat” charters. You do all the crewing, cooking, cleaning and are totally responsible for the yacht you have chosen to charter. Sample Caribbean bareboats: Click link for more information. 3. Do I have to charter for a full week? Charters customarily cover a week, but other options exist. We have seen Charters that range from a “land and sea” vacation that involves a couple of days at sea, using your yacht as a floating luxury hotel, transporting you to your selected ports of call, to a multi-month “sea-battical” with occasional docking to replenish supplies. If you have specific dates in mind, kindly specify them using our brief Enquiry page to get started. 4. Who are the crew? On many yachts, a Captain and Cook can accommodate up to 8 guests. More services means more crew! On a larger yacht such as 170’ LAZY Z, your crew can number anywhere from 10 to 20 based on the services you require, including the Captain, 1st Officer, Chief Engineer, 2nd Engineer, Chef, Chief Stewardess, Head Stewardess, Stewardess (2-5), Boson, Deckhands (1-3) and Purser. 5. Can we bring small children? Yes! Babies and small children are welcome on many yachts. Child supervision is essential, and your plans may call for a nanny-figure to accompany your family if you require supervision of children when you cannot be present. The Crew is focused on other equally important things and, although they certainly can add to the fun, you should not rely on them to perform a “nanny” role. 6. Can I become dive certified during my yacht vacation? Yes, with a licensed Dive Instructor aboard. Some yachts offer dive courses and certification, so please include that request when you Enquire, so we can accommodate you. Your other option is to take courses beforehand from a certified school. Just be sure to seek an “open water dive” certification. 7. Can I get “gluten free”, vegan, low sodium meals? Absolutely! Part of the planning involves organizing all your needs, requests and preferences, to ensure your chef and crew are prepared to accommodate them and ensure a thoroughly satisfying yachting experience. 8. Can I wear my shoes on board? Good question. Usually, no – with a few exceptions. Curiously, there is a book titled “No Shoes Allowed” in which titans of industry became humbled by taking off their shoes while cruising. Of course, some health conditions like diabetes may require special precautions, and allowances are made to keep shoes on in such exceptional cases. Otherwise, you will generally be expected to wear boat shoes only (not to be worn on land and sand), or just enjoy barefoot freedom which, incidentally, helps keep decks free of sand and other objects. Bare feet helps you enjoy safe, sure footing in wavy sea conditions. 9. What is the itinerary? Your itinerary is, of course, planned well in advance, but it is discussed with the Captain every morning of your charter, to consider the weather, your interests, seasonal delights and your often-heightened sense of adventure. No two yacht charter itineraries are identical, and that’s fine with us. We handle contingencies, offer insights based on our experience, and provide intriguing details about yachting, ports of call, and the many delights that await you. There is no app for this! 10. Can I have jet skis, paddle board, kite-surfing? 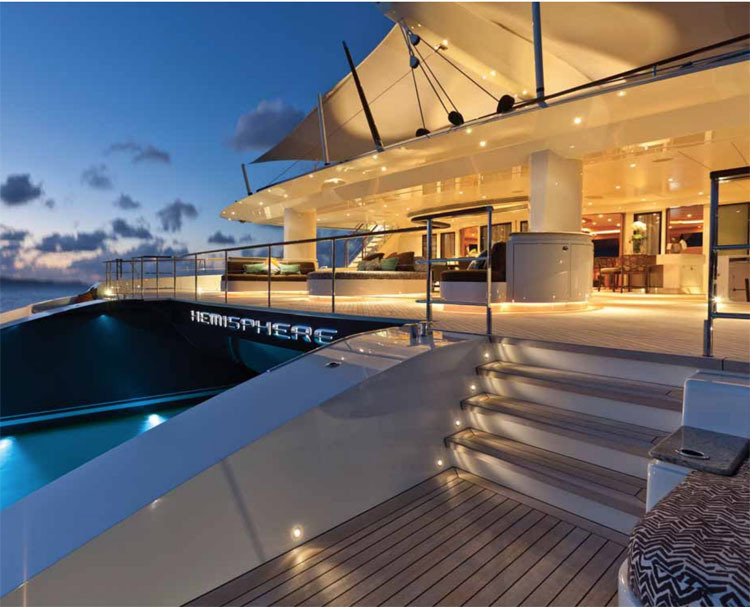 Most yachts offer an array of toys. 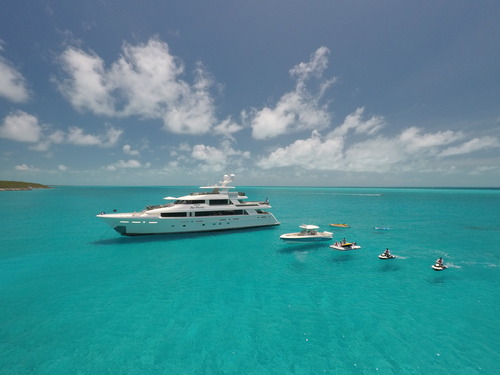 If the toys you seek are not standard equipment on the yacht you select, rentals may be available in a nearby port or pre-rented and brought aboard before departure. When in doubt, ask. Pet-friendly yacht vacations are increasingly popular and available. Do inquire, since some restrictions may apply, and we would like to assure your pet can be accommodated. 12. What is the most popular destination to charter? There are two popular regions. Eighty percent of the yacht charter industry’s activity is located in the US and British Virgin Islands and the Caribbean in general. Predictable, favorable weather all year makes this possible. Hint: head south to the Grenadines for Hurricane season (July-November). The next most popular region is the Mediterranean. Thirdly, the New England region’s seafaring heritage and cultural diversity make Boston, Newport, the Hampton’s and their gorgeous nearby islands like Nantucket an attractive option during late Spring, Summer and early Fall. 13. How far in advance should I book my yacht charter? For best results and the broadest array of options, we suggest you begin your yacht charter planning process with us one year in advance, especially if you plan to go during High Season. Having said that, we are well acquainted with many yachts and crews, and can often manage your request with shorter notice, but this may require some quick action on your part to be sure all the necessary credentials and requirements are handled thoroughly. Of course, the selection of available yachts can be limited if you try to book last-minute during high season. 14. Insure your yacht vacation. Yes! It’s easy. You can insure your yacht vacation, flight, hotel – anything that’s out of pocket. As you secure your yacht, dates, port of embarkment and finalize contracts, we highly recommend that you insure your vacation and we can take care of that for you. Read more at our blog post about Top 10 Reasons to Insure Your Vacation. No question is unimportant, so please contact us if you have one or many. Water covers 70% of the world … so do we!